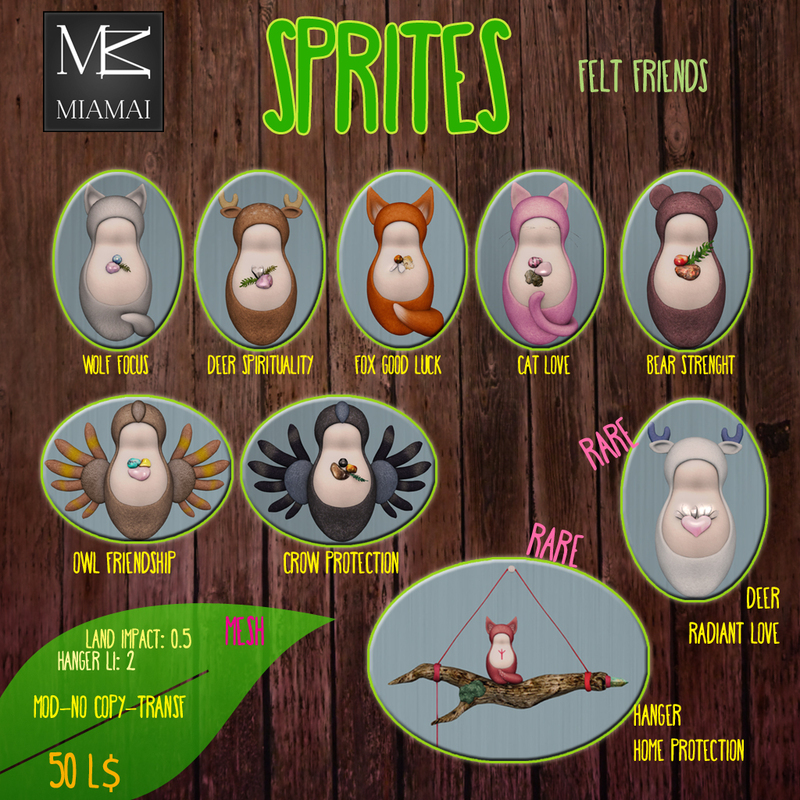 I am happy to introduce you to my little friends, the Sprites! They come straight to my real life, they have been hanging out with me since some months. In my real life, they are little needle felted, benevolent Spirits who like to keep you company, help and protect you. I create them from wool, sculpting them with a felting needle, and they carry herbs that I gather and crystals, to bring you the benefits of the Earth Medicine. They also like to dress up. 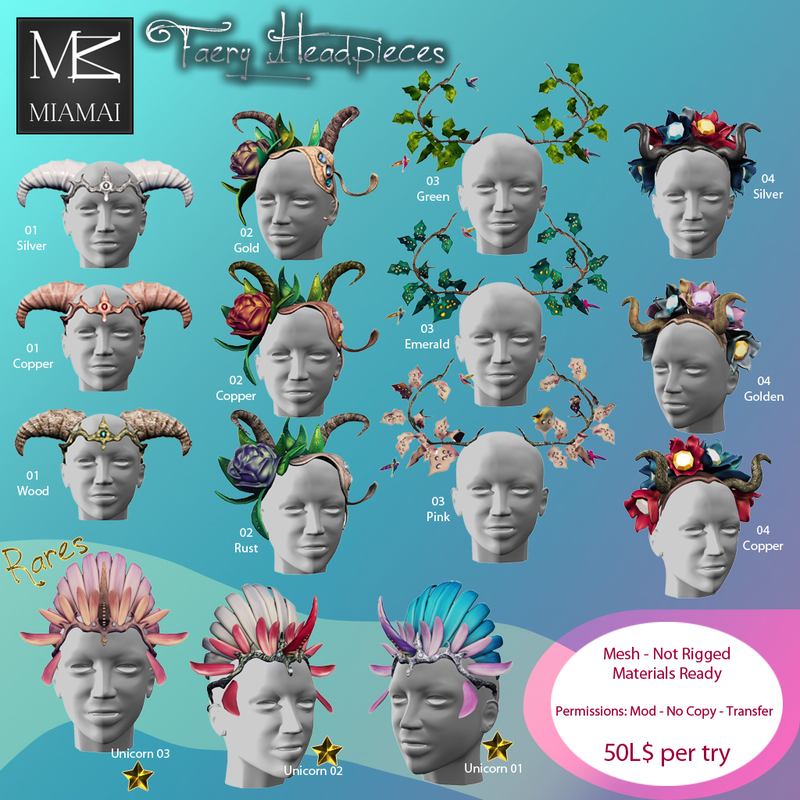 Since they are curious little buddies always looking for new friends, we decided it was fun to bring them to Second Life as well…and here they are! I tried to stay loyal to the helping purpose they have, so I gave them crystals with specific intents. 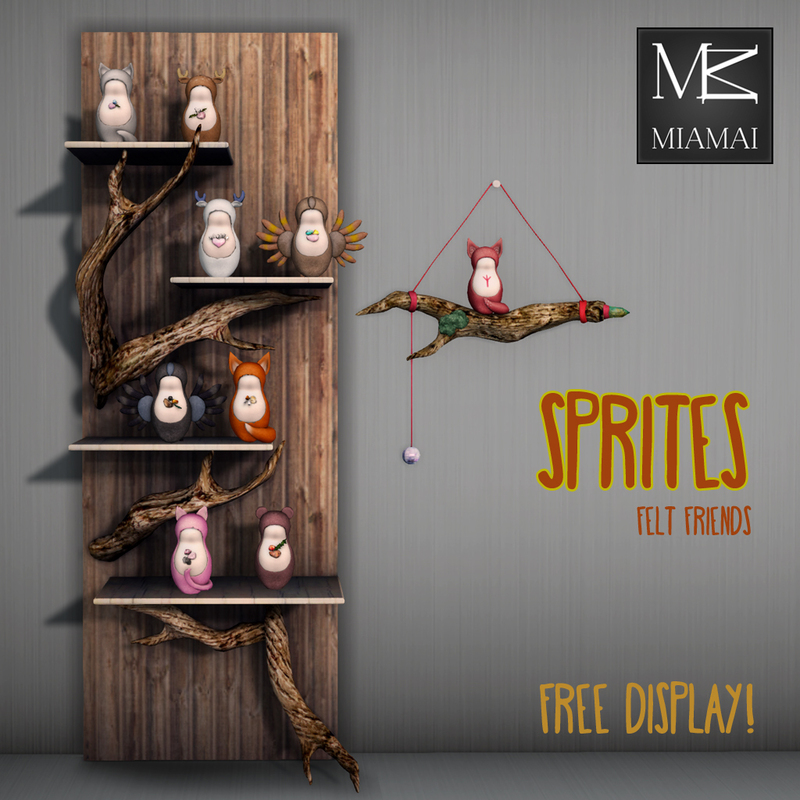 Sprites, Hanger and the display are modify; however, be careful when stretching them to a bigger size, because the land impact will rise! 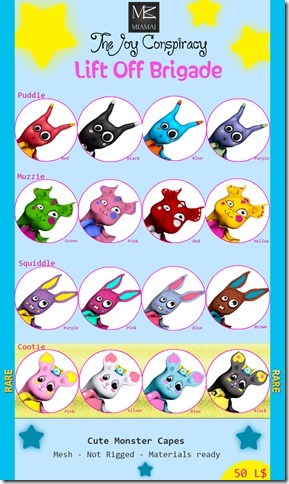 We hope that you will enjoy the company of these special little friends. 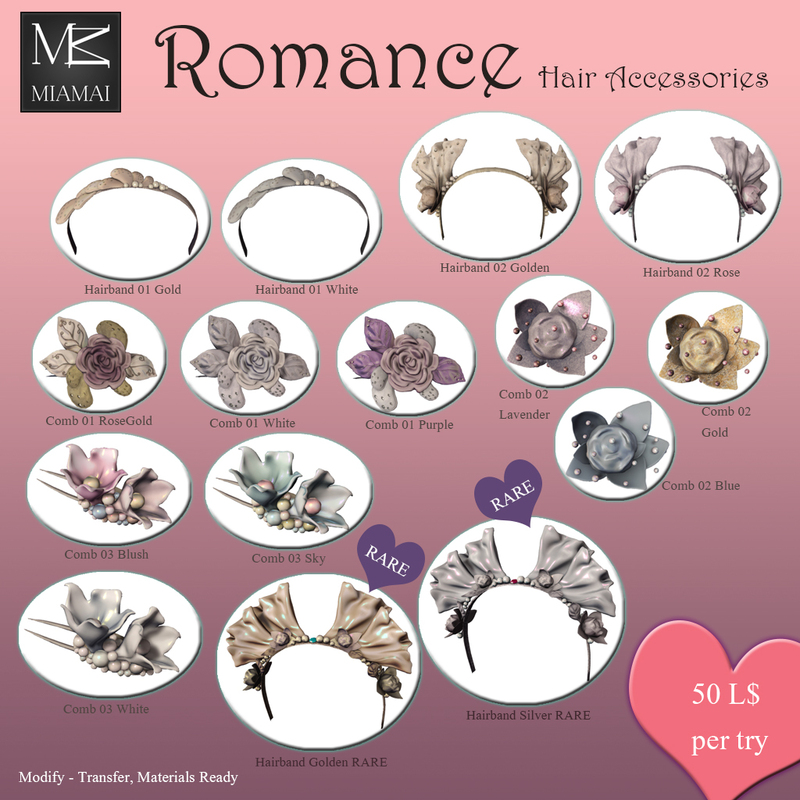 They have been created to sit on their shelf or rezzed around your home, however you can easily wear them on your shoulder with some basic editing skills. It is time to pull out our sweaters, bundle up, and run outside to build snowmen! 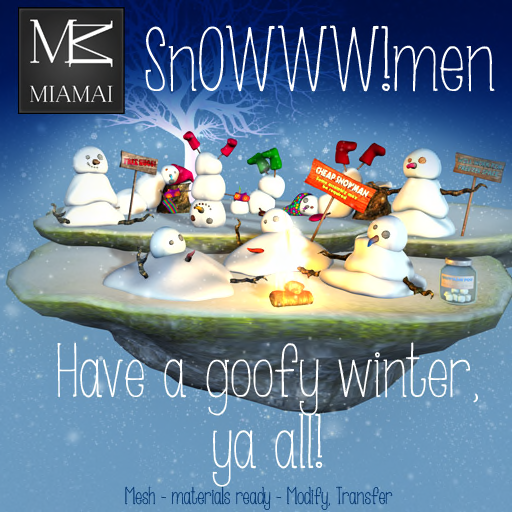 Miamai had a little fun with our SnOWWW!Men and decided to set them out for you to collect at the December round of the Arcade. These very adorable and dysfunctional SnOWWW!Men will add the finishing touches to your Holiday yard decorations. 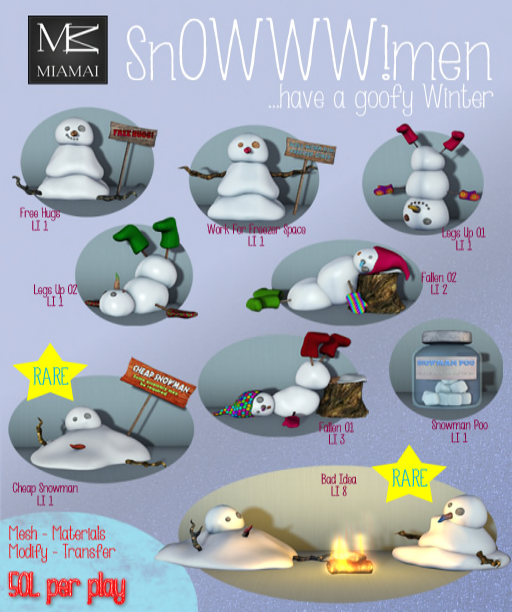 The SnOWWW!Men are 100% original mesh, materials, modify, and transfer so you can collect them all or trade with your friends. I’m warning you: i’m going to show you such fantastic C U T E N E S S that you will get definitely addicted. 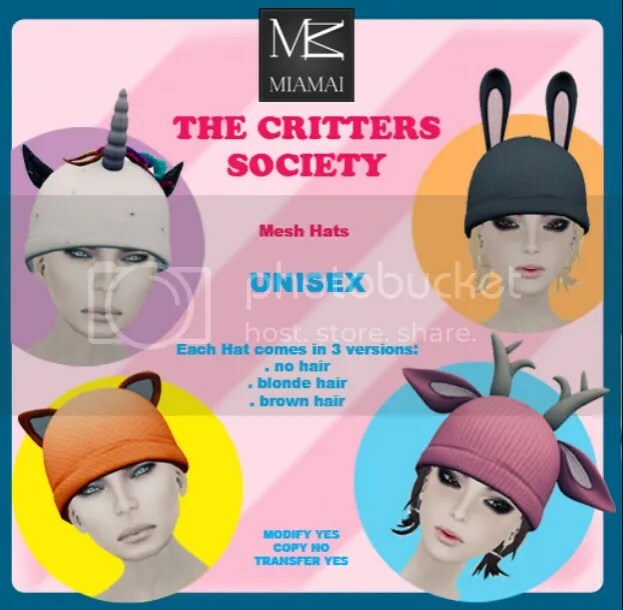 The Critters Society, unisex mesh hats for The Arcade Gacha Event. 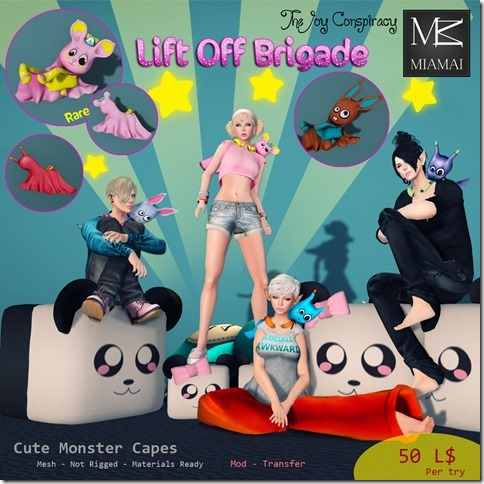 Tons of critters and colours with 3 versions included: blond and brown hair and no hair. 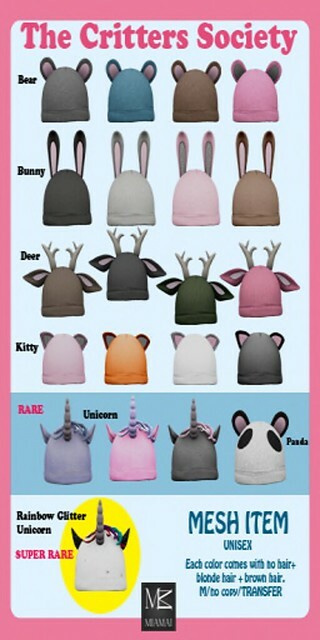 So we have the bunny, the kitty, the bear, the deer, the rare unicorns and panda and the super rare rainbow glitter unicorn. OMG, soooooooo sweet!!! 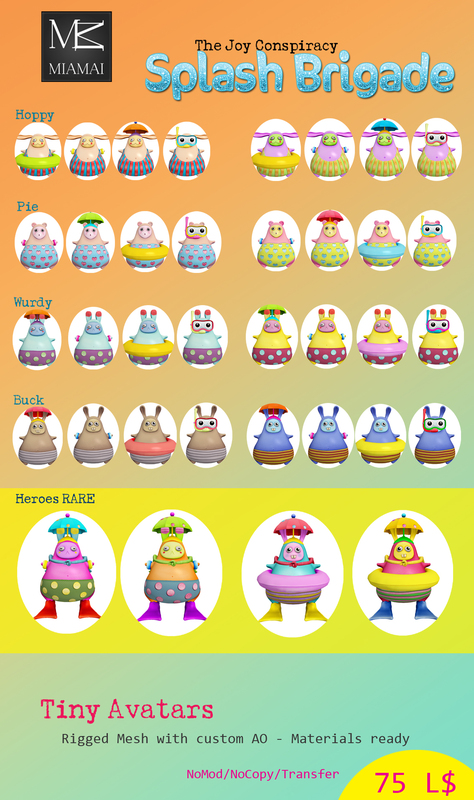 Each play costs 75L$, they are mod and transfer, so you can share or trade doubles with your friends. It’s a great Christmas gift too! 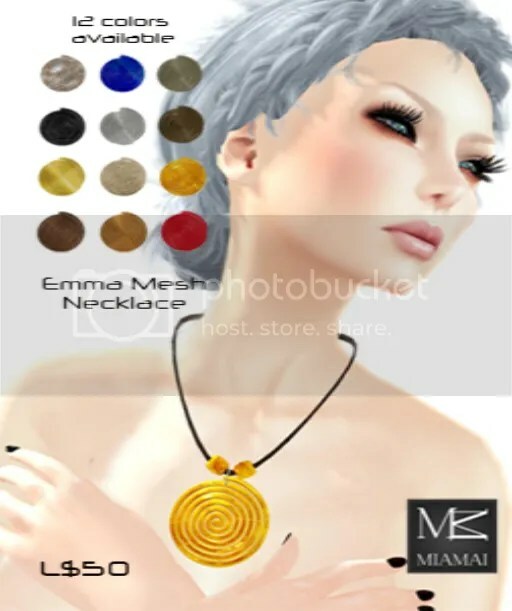 It’s a lovely mesh necklace that you will also find at The Arcade Gacha Event: available in 12 colours, each try is 50L$. 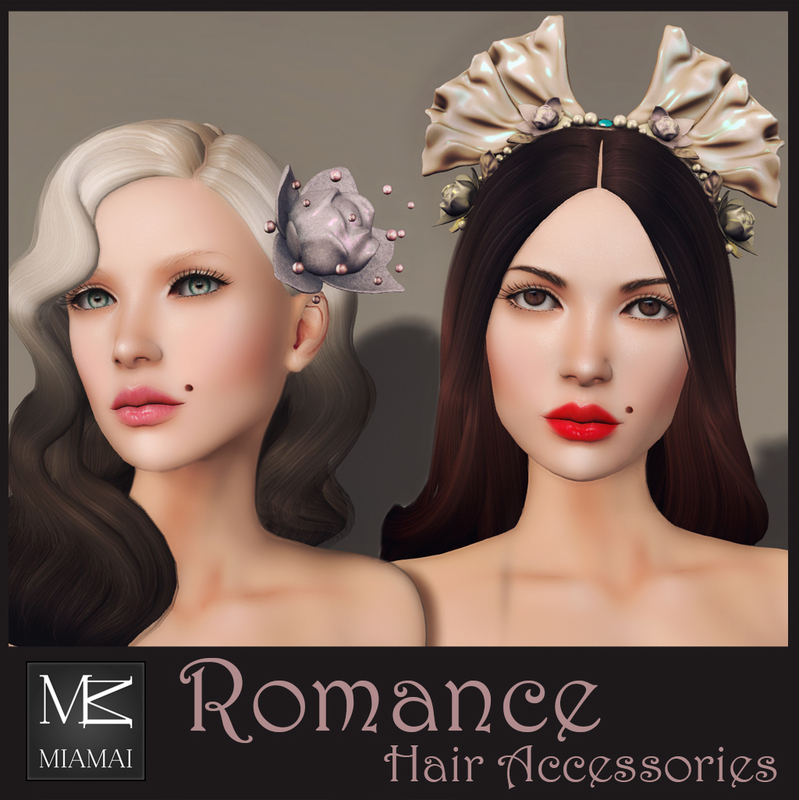 I know, you’ve GOT to have it too, it also matches the sweet earrings that Miamai put out as one of the 2 gifts for the With Love Hunt.